A portrait of Thomas Cobley Gent of Buttsford, Colebrooke (d.1844), is believed to portray ‘Old Uncle Tom Cobley’, from the tradition song Widecombe Fair, as a young boy. The portrait of Uncle Tom Cobley offered by Andrew Singleton at Suffolk House Antiques. The picture had been passed down through his family to a recent owner of one of Cobley’s farmhouses before it was put up for auction at Chilcotts in October 2004 (when it was covered in ATG No 1668). Now it is on offer again at Andrew Singleton’s Christmas exhibition at Suffolk House Antiques (December 1-22) for a price in the region of £5750. 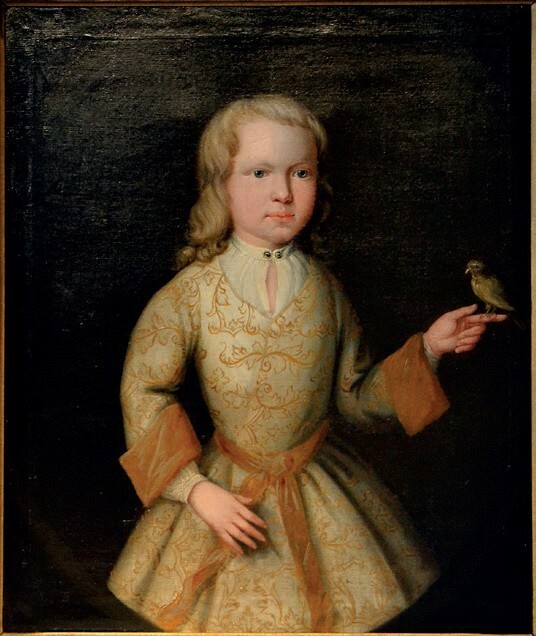 The Kent dealer who purchased the portrait, along with that of Tom’s mother, Mary Heard (also available in this exhibition for £1450), had kept them until his death, after which Singleton acquired them from his executor. The show also includes a variety of furniture and other works of art.